At Storm Fitness Academy Ltd we care about your future and educational needs, and our tutors are not only experts in health and fitness but are also active in the fitness field. With our combined skills, knowledge and experience, we know exactly what you need to be successful in the industry, and maximise your earning potential. As our qualifications are mainly delivered on a one to one basis we can tailor the delivery to match your learning style and make sure you get all the support you need during your training and after. Whether you are someone looking to start a career as a fitness instructor or already working in the leisure industry and wanting to develop your skills, we will give you the qualifications and the know how to become a very successful trainer. In fact even if you aren't thinking about a career change but you would like to learn more about how you can meet your own health and fitness goals, then our courses are for you. 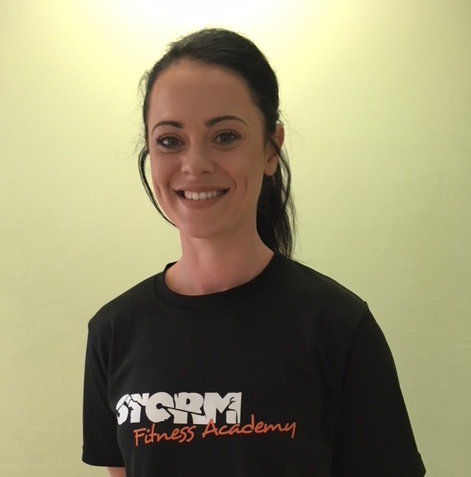 Mel is a tutor and assessor at Storm Fitness Academy Ltd. After previously working in the retail industry as a retail manager where she trained and tutored many new members of her team into becoming successful managers themselves. She then decided to have a change of career and re-train in something she was passionate about, fitness! 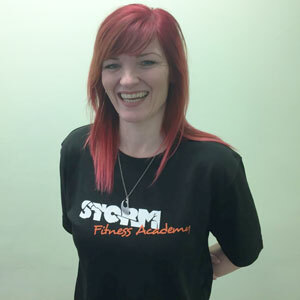 Mel completed her level 2 Gym Instructor and Level 3 Personal Trainer qualifications through Storm Fitness Academy Ltd and has since built up a significant client base giving her lots of experience training various people. Mel has 1 daughter and in her spare time she loves resistance training at the gym. Yasmin has been involved in education, training and development since graduating with a Masters degree from Keele University. Initially a lecturer at Manchester Metropolitan University she moved on to pursue a business career in a blue chip worldwide organisation. Here she successfully ran a sales team for many years, a large part of the role was the training and development of each team member. After a car accident that left her paralysed and a long period of rehabilitation, she moved into an operational trainers role for a local utility company. After starting a family she decided to qualify as a personal trainer and hasn’t looked back. She currently teaches regular classes and has a specialism in working with disabled clients & older population. She has two boys & loves nothing more than walking the Downs and meditating. Jon is the founder of Storm Fitness Academy Ltd. He has worked in the sport and fitness industry since 1996, teaching group exercise and one to one personal training, tutoring and assessing fitness qualifications and promoting health and fitness in the community. In 2008 after graduating from university with a Sport Science Honors degree he worked as a sport scientist for Brighton & Hove Albion Football Club. In 2010 Jon went on to cofound Storm Ultimate Fitness, which provides one to one, and group training sessions for the local community. 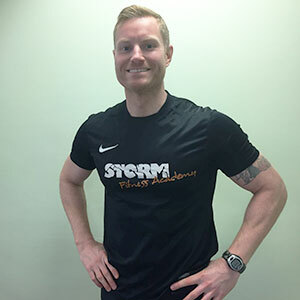 Then later in 2012 Jon founded the sister company Storm Fitness Academy Ltd which offers national accredited fitness courses for others that want to build a similar successful career within the fitness industry. When Jon isn’t at work he loves going to the cinema, hiking over the South Downs, and days out with the family. Formed in 2012, Storm Fitness Academy Ltd brings together a team of highly experienced health and fitness professionals to provide you with education and training in all aspects of the gym and fitness industry. Our tutors are not only experts, they are also active in the fitness field. With our combined skills and knowledge we know exactly you need to be successful in the industry and can help you maximise your earning potential. The delivery of our training is designed specifically to match a range of learning styles and to ensure you get all the support you need during your training with us and after. If you are 100% motivated to succeed in the industry and have a long and happy career then our Elite personal trainer pathway will be ideal for you. It provides you with all the skills, confidence, knowledge and qualifications you need to work as a fitness instructor or a personal trainer. Additionally, if you are already a fitness instructor then we offer a fantastic range of courses to either provide you with complementary skills to progress your career and update your portfolio or if you are ready to take that next big step we can help you qualify as a PT. Our level diploma in personal training also includes business acumen and nutrition so you will know how to set up your own PT business and will be qualified to advise clients on nutrition and healthy eating. Please contact us today for more details on what Storm Fitness Academy can do for you. Why not join our member’s club newsletter? We deliver motivational tips, advice and support for anyone aspiring to succeed in the health and fitness industry. Join today. start or have other questions?